When the invitation says 'Black Tie' a floor length chiffon gown is guaranteed to make an impression. 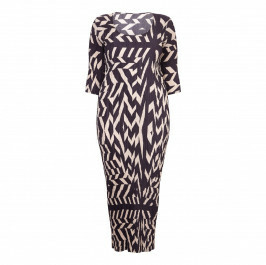 This sensational statement dress by Marina Rinaldi is made specifically with the plus size woman in mind. Beautifully cut with elegant proportions and panels that define the silhouette, it's designed to flatter your figure. 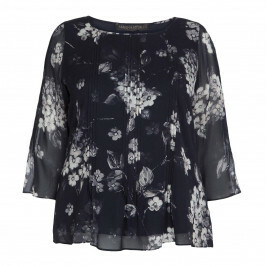 In an opulent shade of midnight blue with a floral print and deep v-neck embellished with a dramatic black and silver floral detail it's the ultimate in occasion wear. Just add heels and diamond drop earrings. 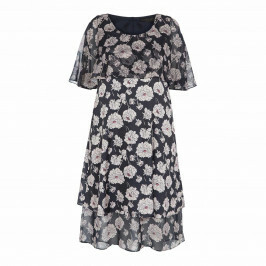 Indigo floral print v neck chiffon long sleeve. 100% viscose. Lining: polyester. Dry clean only.Do not tumble dry.